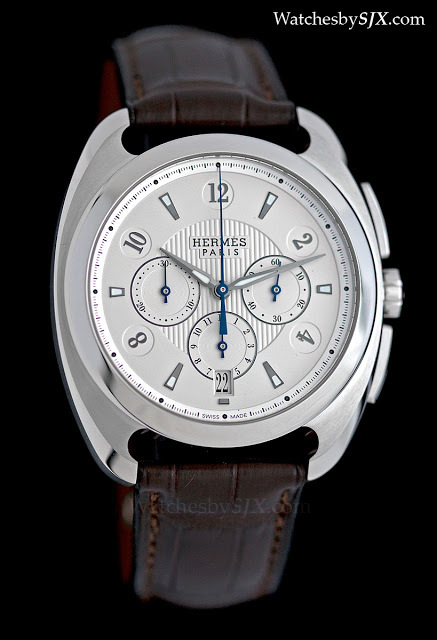 At Baselworld 2013 Hermès unveiled the Dressage Chronograph, which uses the brand’s first proprietary chronograph movement, the H1925. 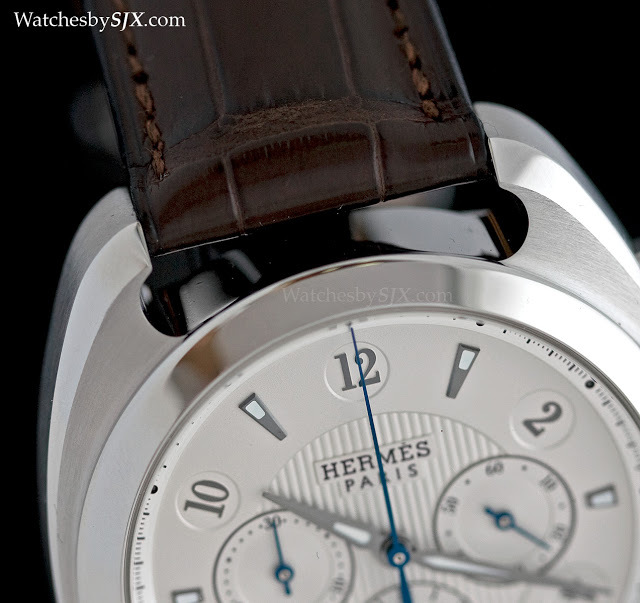 In 2012 Hermès took the covers off the Dressage automatic with the H1837 automatic movement, its first proprietary movement. That movement is now the base for the new H1925 calibre of the new Dressage Chronograph, with 1925 being the year Hermès sold its first chronograph wristwatch. 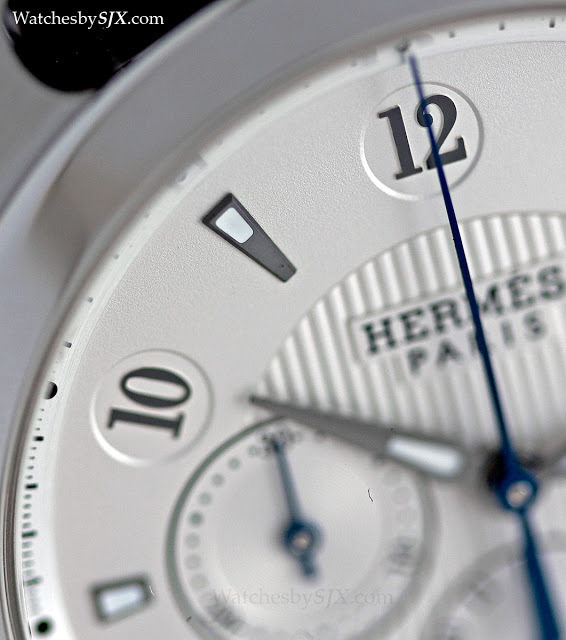 The H1837 marked the start of Hermès’ strategy of becoming a vertically integrated watchmaker, whereas previously its watches mostly used ETA movements. 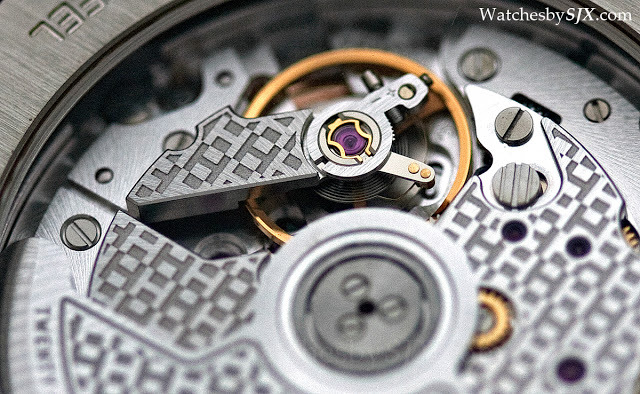 Named after the year of the company’s founding, the H1837 movement is made by Vaucher, the sister company of Parmigiani Fleurier and in which Hermès has a 25% stake. 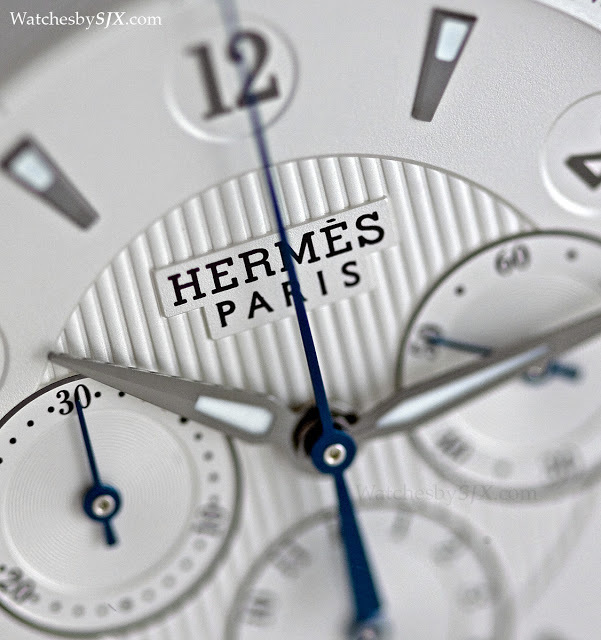 Hermès also owns dial manufacturer Natebar and case maker Joseph Erard. Leather straps are naturally made in-house. 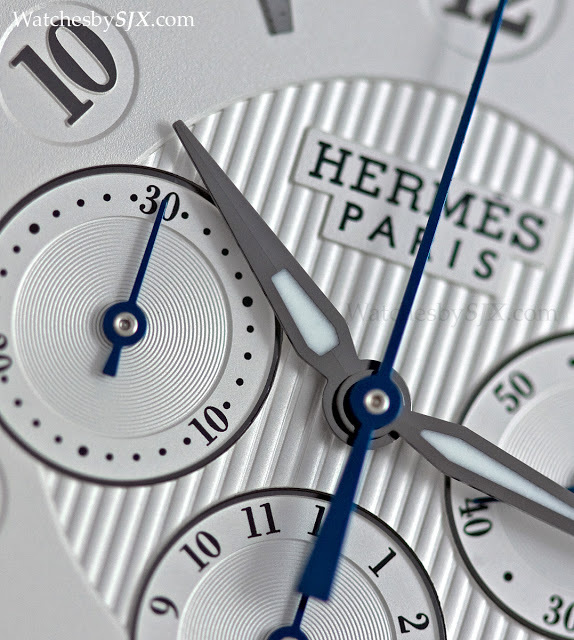 As far as possible Hermès will move production in-house for a gradually growing proportion of its watch collection. That has paid off – I was impressed by last year’s Dressage automatic. It is elegant, well made on the outside, with a solid movement inside, and fairly priced to boot. 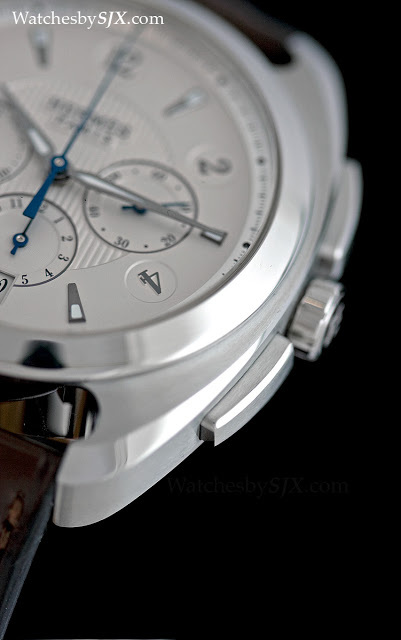 The same qualities are present in the new Dressage Chronograph, which does not disappoint. 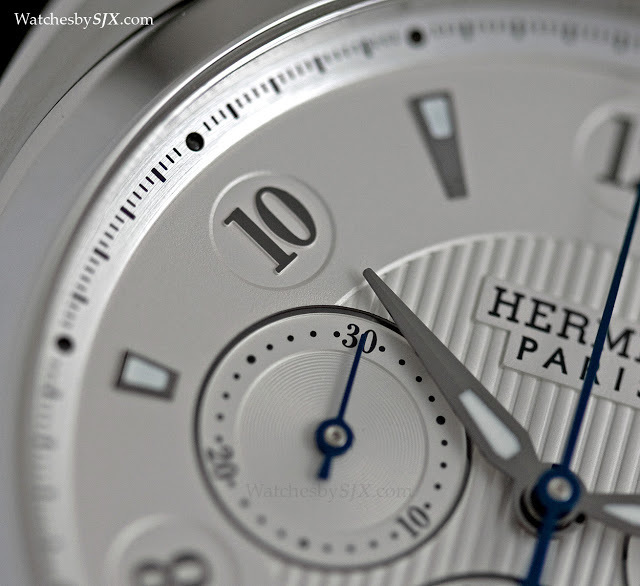 Visually the watch is elegant and tasteful, as nearly all Hermès watches are. Though it is a modestly simple watch, the Dressage is distinctive – the graceful curve of the stirrup-shaped lugs is instantly recognisable. No detail was overlooked in terms of the design, even the font of the date numerals matches the Arabic numbers of the hour markers. 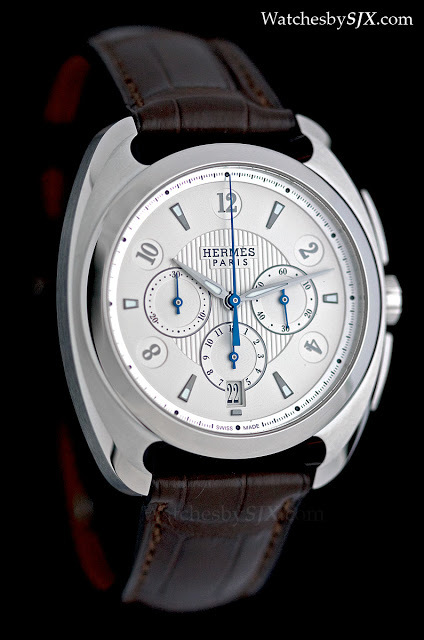 Overall the Dressage Chronograph possesses a sense of refinement which is characteristic of Hermès products. 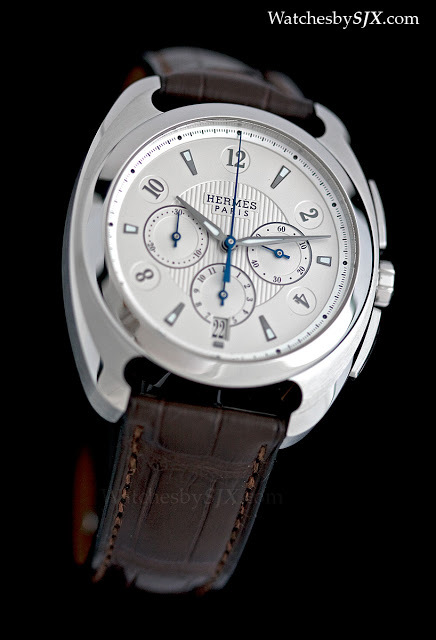 Though both the chronograph and automatic are the same 40.5 mm in diameter, the chronograph seems larger. And the pushers and sub-dials also give it a more sporty feel. 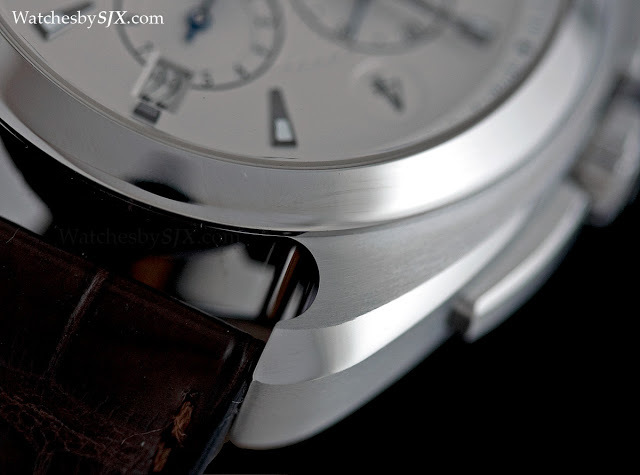 The case is extremely well finished, with expertly polished bevels on the case and even the chronograph pushers. 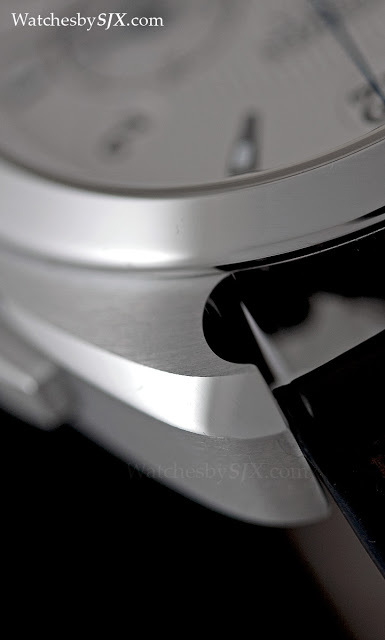 Also obvious is the quality of the dial and hands. Alternating hour markers are applied, while the rest are stamped from the dial. 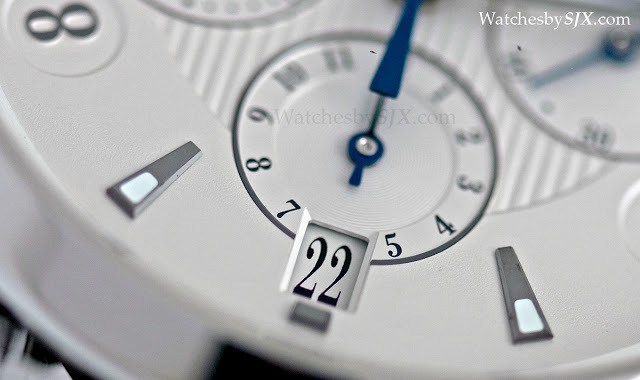 Though the hour numerals and godron guilloche in the centre are stamped, the dial is quite complex and very well made. 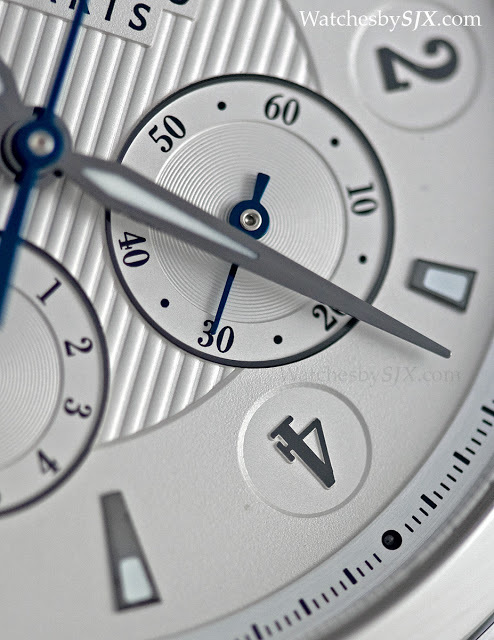 The three blued steel hands for the chronograph are particularly beautiful. 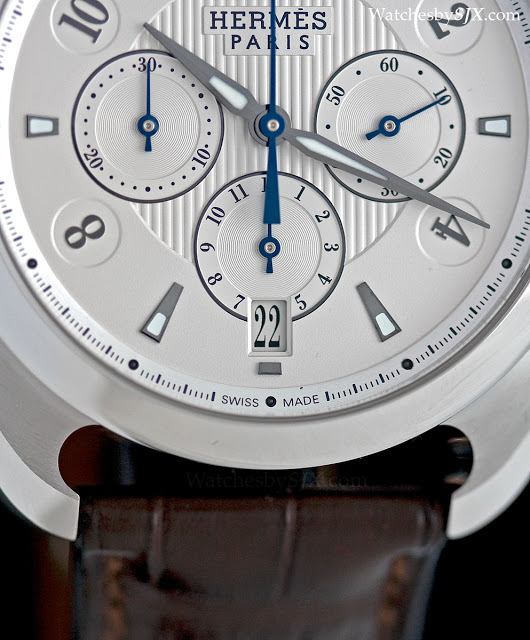 With the Vaucher H1837 below and a Dubois-Dépraz chronograph module on top, the H1925 movement does not reveal the chronograph mechanism through the display back. That modular construction of the movement, which is a less sophisticated solution than an integrated movement, is the biggest weakness of the movement. A repeating “H” motif is embossed on the bridges and rotor, while other surfaces are grained and screw heads are polished. 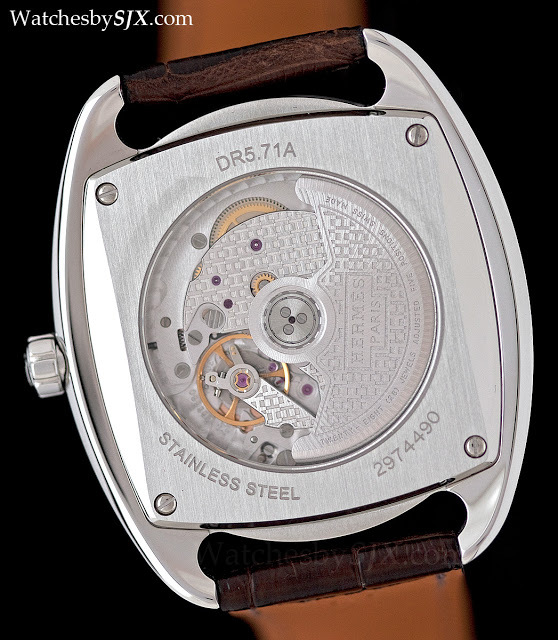 Modular construction side, the H1925 is a well made and attractively finished movement for this price segment.